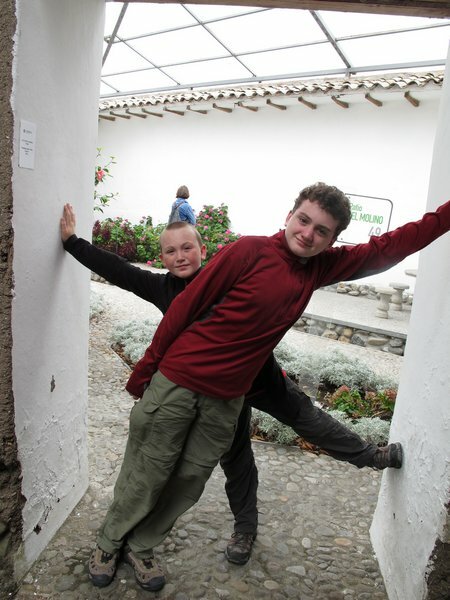 Kids goofing at the entrance to the sculpture garden in the Museo del Arte Moderno in Cuenca. I’m still stunned that we managed to visit the museum. This entry was posted in Kid Travel Photos and tagged Cuenca, Ecuador, Museum Of Modern Art Cuenca on October 7, 2010 by wandermom.